Description A new Dropdown Necklace. Double leather cord with sliding knot closure for adjustable length. Ten 9-10mm freshwater pearls accented with four 15-18mm tear drop freshwater pearls dangling beneath. 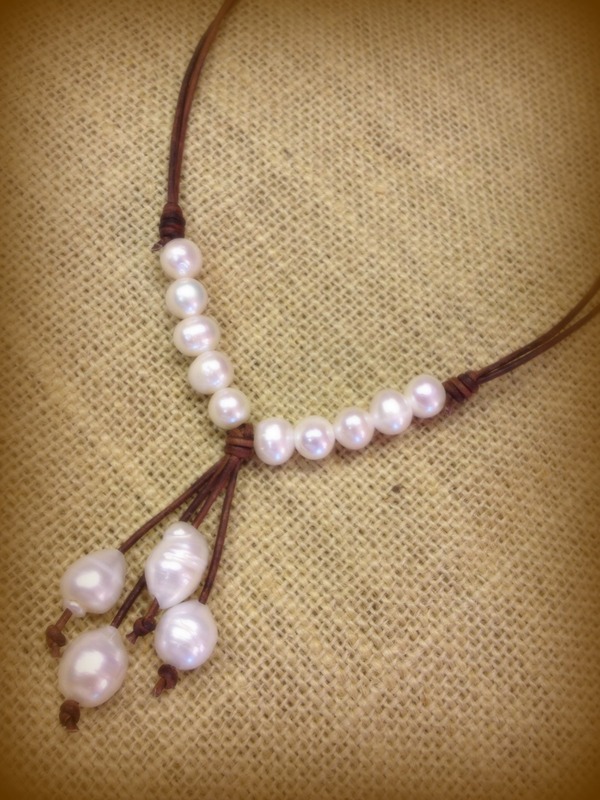 This necklace can be worn short or long.